In Enrique Tomás we offer you a delicious Jamón Gran Reserva, which after 18 months of a dry curing process has a mild taste that represents the first step of quality of our variety of cured ham. Also known as Jamón Serrano, this product is made with white pigs from our region fed with animal feed and cereals and perfectly dry cured, which gives it a slightly salty taste perfect for the most informal occasions. Enjoy it in our formats of whole piece, sliced by knife, machine or boneless. 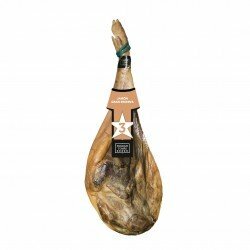 Our Jamón Gran Reserva comes from the hind leg of a white pig, which has been taken care of and fed on animal feed and cereal in farms, giving its meat a mild taste, with simple and slightly salty nuances, that the palate can easy identify thanks to the quality of a properly dry cured Jamón Serrano. 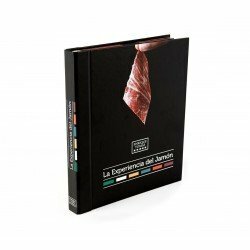 Thanks to a rigorous selection process, with 18 months of dry curing and “cooked”to perfection, the Jamón Gran Reserva from Enrique Tomás surpasses by far the quality of most of the similar hams that we find on the market, which makes it a perfect product for those who appreciate the taste of this dry cured product and want to enjoy it every day. 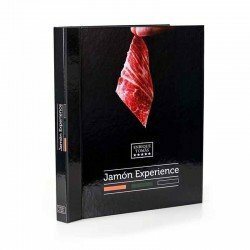 Ideal for snacks or for eating on an informal occasion, this Jamón far exceeds the expectations of anybody accustomed to eat the popular Jamón Serrano purchased in the supermarkets. At Enrique Tomás we take care of every step of the selection, “cooking” and curing process to ensure that every single jamón we sell is simply the best of its kind. If you want to enjoy a good product, nothing like buying it in a specialized store that offers you the guarantee of quality you expect. Then why not do the same with the jamón? In our online shop you will get the best hams, cheeses and sausages with the seal of quality guaranteed that only a professional like Enrique Tomás could give you. You have a big choice: the whole piece, boneless or sliced manually with a knife or by a slicer and then perfectly vacuum packed, so you can enjoy them with greater comfort and without complications. With fast delivery and the most competitive prices on the market, there is no better choice than our product range when it comes to enjoying a good Jamón Gran Reserva.